But maybe there’s something really deep going on in this work that I just don’t understand. Do you find this explanation persuasive? I love how the vid tries to tie rejection of this modernist work into toxic masculinity. If you don’t like white paintings, you must be a low-information, angry man! The same set of justifications is applied to non-white modernist paintings. Yeah, I get it, if you look closely, there are brushstrokes and variations in tonality. That’s not going to make anyone like them more. 98% of people look to art for pleasure, beauty, and subject matter that they can relate to their experiences. You aren’t going to convince these people that white paintings are great by reminding them that they include different sorts of white. Someone makes a subtle dig at you. If you let it go by they express their power in that moment. If you object they say you are being touchy, and express their power that way. I can’t help but see things like minimalism as that kind of subtle power play. You reject skill, meaning, representation, audience but in a way that you can’t be caught out. You are an austere and elusive preacher. But preaching what? Note how little of this piece can put words to what it is, exactly, that you learn or experience in viewing the art, and how much ink is spilled on the rejection of gesture and the outrage of the unwashed. That’s a tell. But then again this stuff is a Rorschach and no doubt I am just projecting my insecurities. 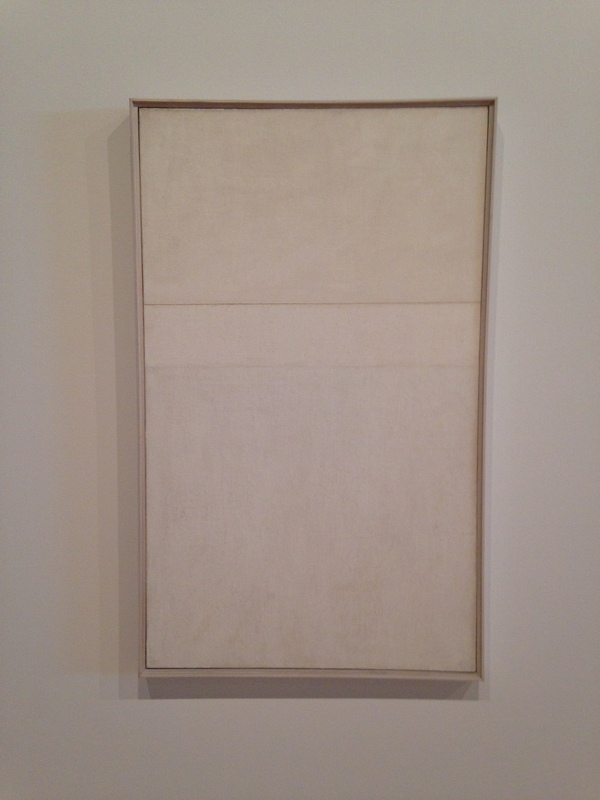 This entry was posted in Art and tagged modernism, postmodernism, the emperor has no clothes, The Whitney. Bookmark the permalink. Black. Black is strong. Black is beautiful. White is virgin, black is a panther. White means surrender; black, pirate. I just got back from the Whitney, where I saw the Grant Wood show. Just incredible! And pretty white, in its way, too. I love the pseudo profundity of the “What is a painting?” douche bag. So challenging to our common preconceptions! My world has been turned upside down! I like paintings of hairy naked women. The white paintings are silly, but I love Rothko. Just depends, I guess.